Named after the Scandinavian goddess of youth and beauty, vanadium is a trace element that has gained attention in recent years as a possible aid in controlling diabetes. While such macrominerals as calcium , magnesium, and potassium have become household names because they make up over 98% of the body’s mineral content, certain trace minerals are also considered essential in very tiny amounts to maintain health and ensure proper functioning of the body. They usually act as coenzymes, working as a team with proteins to facilitate important chemical reactions. Even without taking vanadium supplements, people have about 20–25 micrograms (mcg) of the mineral in their bodies, which is derived from an average balanced diet. 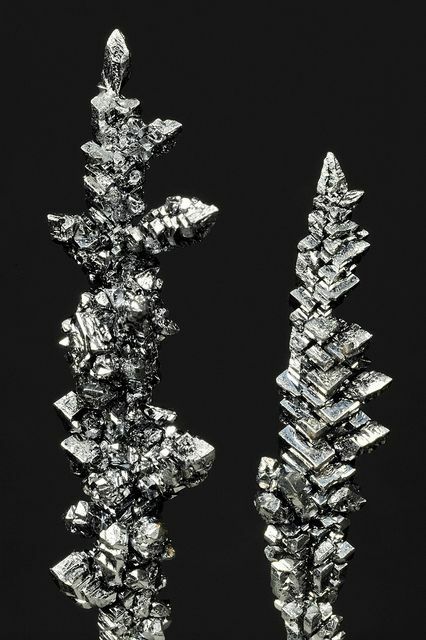 Despite the fact that vanadium has been studied for over 40 years, it is still not known for certain if the mineral is critical for optimal health. Whether taking extra amounts of vanadium is therapeutic or harmful is even more controversial. Like chromium, another trace mineral, vanadium has become the focus of study as a possible aid in lowering blood sugar levels in people with diabetes. Vanadium has also been touted as a potential treatment for osteoporosis. Some athletes and weight lifters take it to build muscle or improve performance. Studies in animals suggest that vanadium may be necessary for the formation of bones, teeth, and cartilage. The mineral may also play a role in growth and reproduction as well as affect the processing of cholesterol and insulin in the body. In one animal study, goat kids whose mothers received a diet deficient in vanadium showed skeletal damage; they died within days of their birth. In studies of mice, vanadium has been shown to lower blood sugar and levels of low-density lipoprotein (LDL) cholesterol and triglyceride . It is not certain, however, that such study results as these confirm the nutritional importance of the mineral for human beings. The effects of a vanadium-free diet have not been studied in people. Even if vanadium supplements prove to be effective for certain purposes, such as helping to control diabetes, animal studies suggest that the high dosages of vanadium necessary to produce results may be harmful. High dosages are often necessary because vanadium is not well absorbed by the body. As of 2000, a significant amount of research is still required to determine if vanadium can in fact produce significant health benefits safely and effectively. The proper dosage of the mineral supplement has also yet to be determined. Vanadium has been investigated most often as a possible aid in controlling diabetes . Studies in animals with type 1 (insulin-dependent) and type 2 (non-insulin-dependent) diabetes indicate that vanadium can help to improve blood sugar levels. Studies using human subjects have produced encouraging if preliminary results. Vanadium is used by some athletes and weight lifters to build muscle despite the fact that it does not appear to be effective for this purpose. Moreover, the potential usefulness of vanadium in treating osteoporosis is considered highly speculative. All of the human studies discussed below were conducted in small numbers of people for short periods of time and involved relatively high dosages of the mineral. Several studies conducted in people suggest that vanadium may help to control blood sugar levels in diabetics. The mineral appears to work by mimicking the effects of insulin or by increasing the body’s sensitivity to the hormone. This mechanism could allow diabetics to effectively control their blood sugar while using lower dosages of insulin medication. In a placebo-controlled study published in 1996 in the medical journal Metabolism, eight people with type 2 diabetes received vanadium for one month. Researchers found that vanadium was moderately successful in lowering blood sugar levels and had few side effects. Six of the eight patients taking vanadium during the study experienced gastrointestinal side effects during the first week of treatment, but these disappeared with continued use. In another small study of vanadium involving people with type 2 diabetes, published in the Journal of Clinical Investigation in 1995, researchers from the Albert Einstein College of Medicine reported that three weeks of treatment with the mineral improved the body’s sensitivity to insulin. The effects of vanadium in lowering blood sugar levels persisted for up to two weeks after the drug was discontinued. A study published in the journal Diabetes in 1996, which involved seven people with type 2 diabetes as well as six nondiabetics, reported that vanadium improved insulin sensitivity in the diabetic subjects. Interestingly, the mineral did not improve sensitivity in the subjects who did not have the disease. The use of vanadium by body builders appears to stem from a misunderstanding of the mineral’s effects. Because insulin is a hormone that plays a role in increasing muscle mass, some weight lifters have taken vanadium in high dosages because they believe it will act like insulin and make them stronger. The problem is that vanadium does not appear to mimic insulin or increase its efficiency in healthy people, only in diabetics. For people considering vanadium as an aid in strengthening muscles, the scientific evidence is not very convincing. In one double-blind, placebo-controlled study published in the International Journal of Sport Nutrition in 1996, high dosages of vanadium were given to a few dozen weight trainers for 12 weeks. The bench press and leg extension weight-training exercises were used to measure results. Researchers found that there was no difference in body composition between those who took vanadium and those in the placebo group. Vanadium appeared to slightly enhance performance during the leg extension aspect of the study, but this advantage can be explained by other factors and can not be attributed to the mineral itself with any certainty. It is important not to confuse vanadium with calcium. Calcium is considered an essential building block of bone, and calcium supplements are often an important part of a bone-strengthening program in women with osteoporosis. Studies in mice indicating that vanadium is also deposited in bone have led to suggestions that the mineral may be effective as a potential treatment for osteoporosis. It is known, however, that minerals can be added to bones without actually making them stronger. There is no evidence that taking vanadium supplements can increase bone density in humans. The estimated dosage of vanadium, which is available as an over-the-counter dietary supplement, generally ranges from 10–30 mcg a day. It is important to remember, however, that safe and effective dosages for the mineral have not yet been established. Some practitioners of complementary medicine, such as Dr. Robert Atkins , have recommended dosages as high as 25–50 mg (milligrams, not micrograms) daily for people with diabetes. The long-term health risks associated with taking dosages in this range are unknown. Even without taking supplements, most adults get anywhere between 10–60 mcg of vanadium through a normal diet. Some authorities believe it is safer for people to avoid vanadium supplements altogether and increase their intake of foods known to contain the mineral. These include meat, seafood, whole grains, vegetable oil, canned fruit juices, soy products, and such vegetables as green beans, corn, carrots, and cabbage. Alcoholic beverages such as wine and beer also contain vanadium. Overdosing on the vanadium contained in food is not considered a significant risk because the mineral is present only in very small amounts in plants and animals. It is important not to exceed the recommended intake of vanadium without medical supervision. Studies conducted in rats suggest that high dosages of vanadium can be harmful. This results from the fact that the mineral tends to build up in the body, reaching dangerously high levels when taken in excess. The reader should keep in mind that high dosages of vanadium have not yet been proven to have significant health benefits. The long-term health risks associated with taking vanadium supplements (in any dosage) are unknown. When taken in recommended dosages, vanadium has not been associated with any significant or bothersome side effects. At high dosages, vanadium has been known to cause stomach cramping and diarrhea as well as a green tongue. No drugs are known to interact adversely with vanadium. Smokers may absorb less of the mineral.